AMEDEO 70MM 14K Yellow Gold M&M Scognamiglio Roman Goddess Cameo Pin/Pendant. Pay Tribute to your inter goddess. 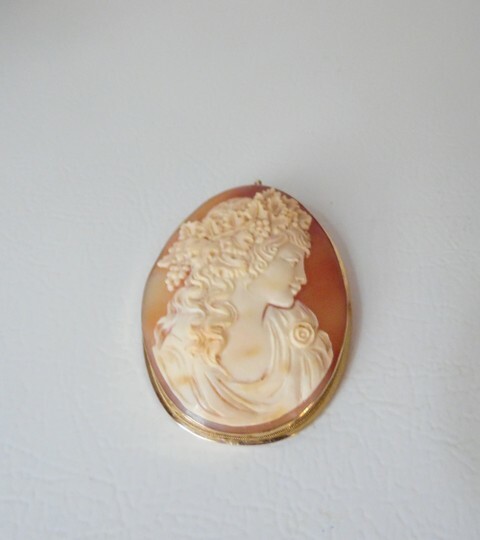 This gorgeous pin/pendant depicts Roman goddess of beauty. 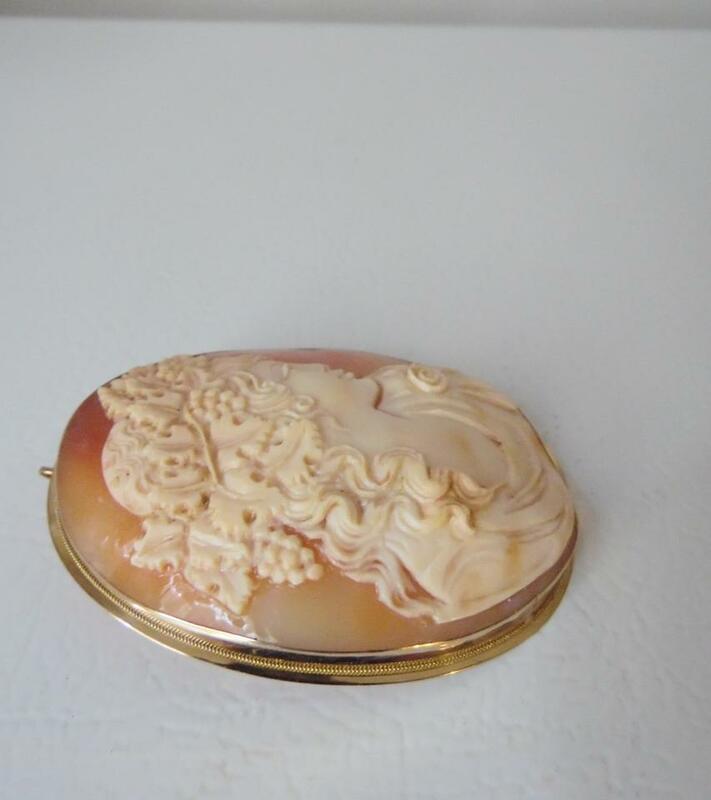 A true collector's piece really shows the varying depths of color of the cornelain shell it was carved from. 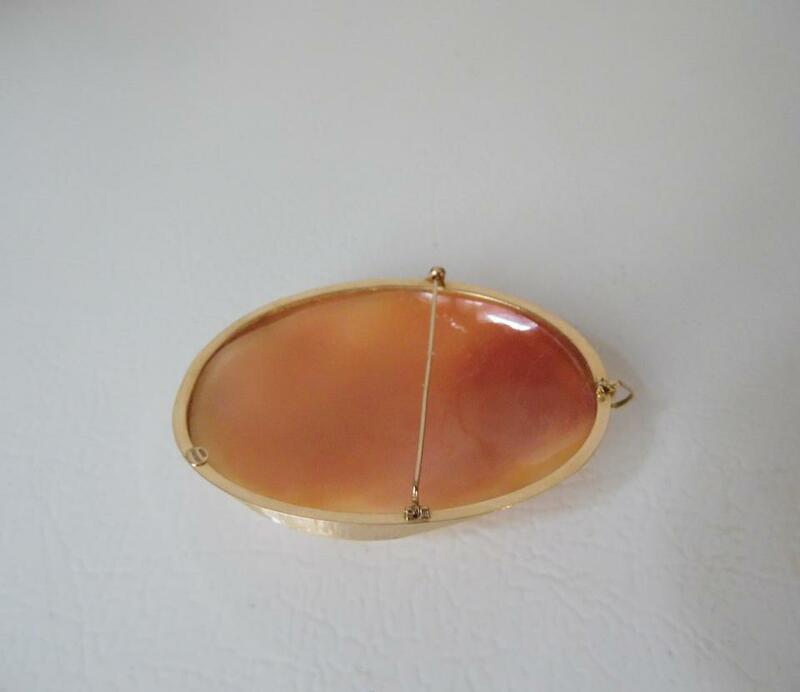 Worn on a chain or pinned to your lapel, it looks simply heavenly. 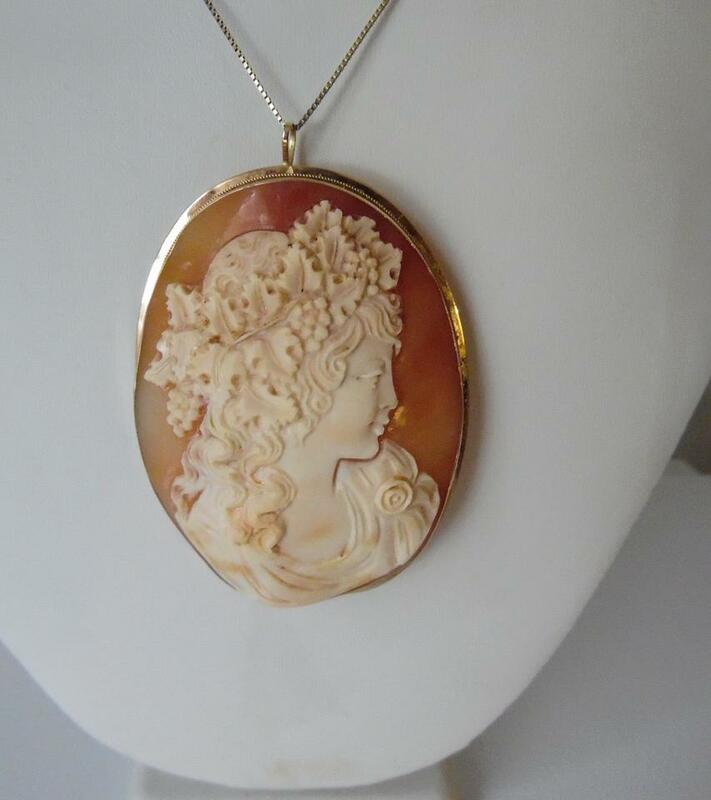 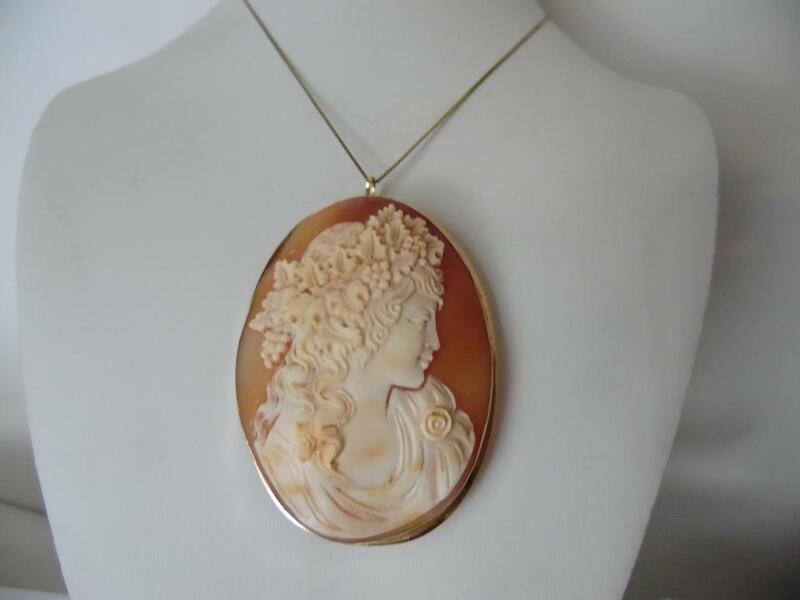 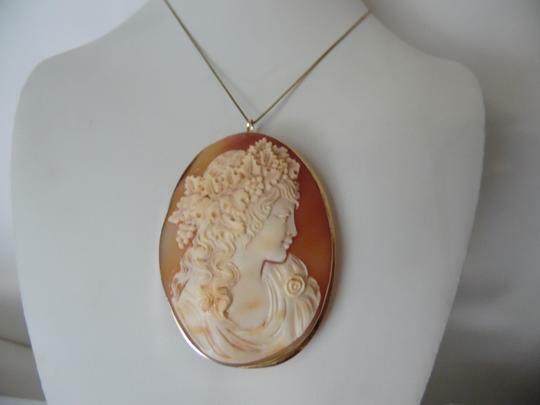 Design Information; 14k yellow gold pin/pendant oval, hand-carved cornelian shell cameo depicting a Roman Goddess with flowers in her hair wearing a drape top. 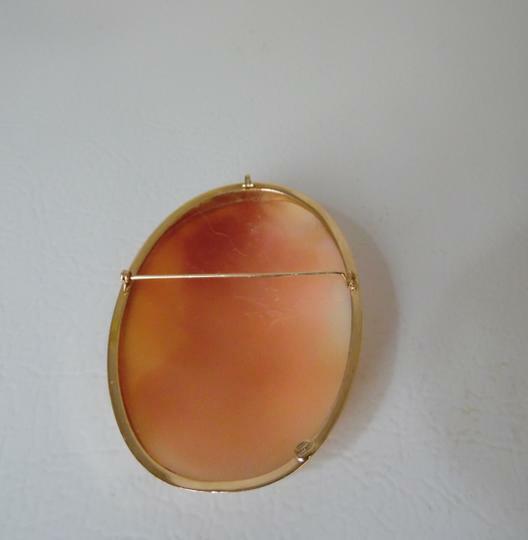 Pin/Pendant measurements: Approx. 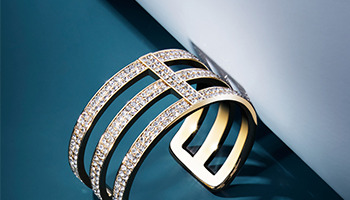 3-1/4"L x 2-1/4"W; Finish: Polished; Metal Color: Yellow; Metal Type: 14K gold; Findings: fold-away split bail; Joint-and catch-closure. There is always room in any fine jewelry collection for a coveted cameo pin! 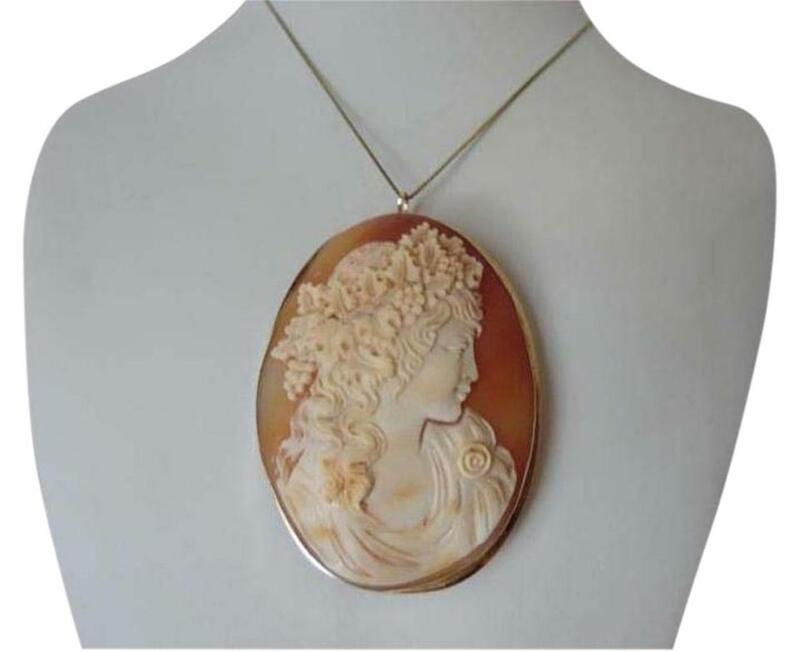 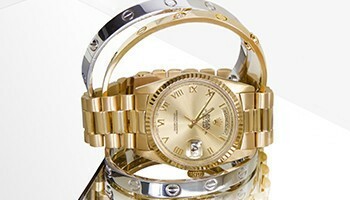 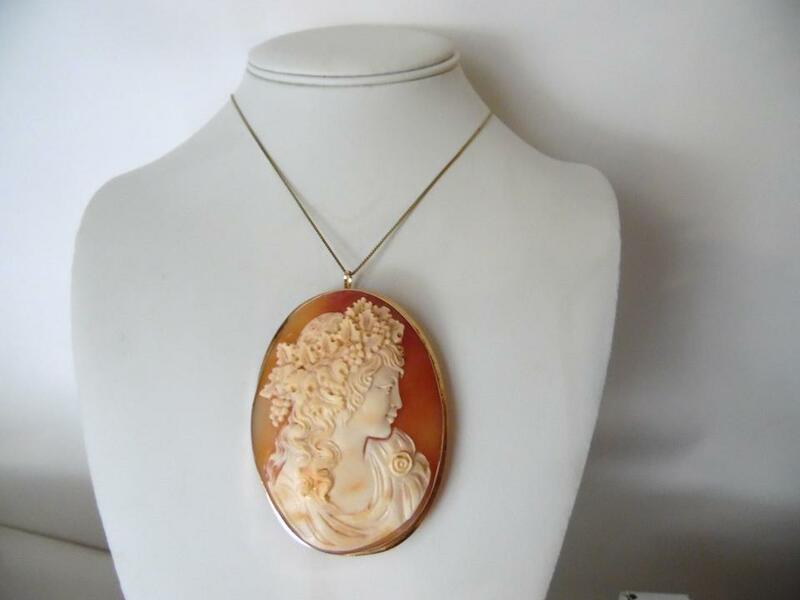 GOOD TO KNOW: Due to the hand-carved quality of each cameo, you may see slight variations in the color design of each unique piece.